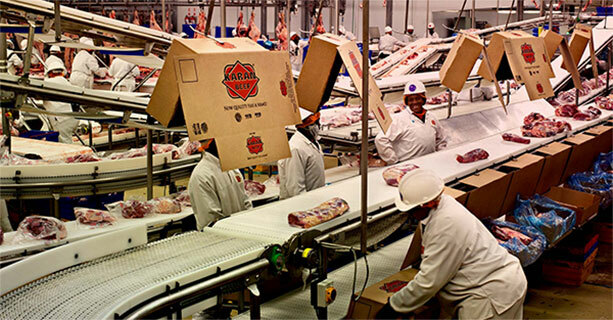 The Public Investment Corporation and Pelo Agricultural Ventures have acquired a 90% shareholding in Karan Beef for R5.2bn. Karan operates the largest cattle feedlot in the world. The company was founded in 1974 by the Karan family and is based in Heidelberg, Balfour and City Deep. The feedlot accommodates 160 000 head of cattle at any given time, with the Balfour-based abattoir having the capacity to process 2 100 every day. It is solely owned by Ivor Karan. The deal is the PIC’s largest to date in the agriculture sector, said head of corporate affairs Deon Botha. Meanwhile, Karan reports it is expanding South African beef exports beyond the Middle East to take advantage of surging demand in China and other Asian markets. Analysts say this is emblematic of a push by South African agriculture to boost exports of more niche products, ranging from grapefruit and avocados to macadamia nuts. Increasingly, the emphasis is on high-value products rather than mass output of less lucrative crops like corn. With 160 000 cattle on the property, which converted from dairy to beef production in about 1980, and half a million of the animals sent to slaughter every year, the 2 500 hectare operation is the biggest feedlot on a single site globally, according to . The cattle are acquired from farmers around the country at about eight months old. They’re more than doubled in weight to about 420 kilograms within four months, with feed including molasses and gluten, mixed in a production line-like factory that sees specially equipped trucks constantly topping up troughs in the pens. The operation accounts for 70% of South Africa’s beef exports and 30% of the local market. “This is as good as you would see in Texas,” said Karan, one of three sons of founder Ivor, whose own father owned a cupboard-making business in Johannesburg. The business has been exporting beef to the Middle East since the early 2000s and last year won access to China, doubling export volumes, Karan said in an interview at the feedlot. In the year to November it shipped 4.34 million kilograms of beef to China and 4.68 million kilograms to the Middle East. The company has had to work hard to promote South African beef, which is generally lean and “rose” in color due to the local grading system, he said. That compares with the more marbled meat from the US and Australia, which contains more fat. China’s beef imports have jumped this year and are on pace for an annual record. Karan Beef is also looking at Malaysia as a new export market and is due to undergo an audit to ensure it meets the country’s halal standards early next year. The South African beef industry more broadly is under pressure to increase production to meet local and international demand, said Gerhard Schutte, CEO at the Red Meat Producers Organisation. One possibility is building capacity of small-scale farmers, who own about 40% of the nation’s livestock, but lack the competitiveness required for export markets, he said.